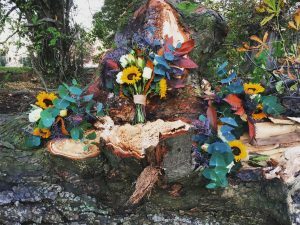 Meet Mags from Barleywood Flower Studio! 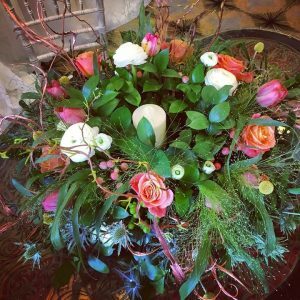 Barleywood Flower Studio is a hidden gem located just a few miles from the hilltop farming town of Rathfriland in County Down owned by Mags. Although I am Belfast ‘born and bred’ I’ve always been a country girl at heart and flowers have played a big part in my life from a very young age! My Mum and Granny encouraged us as kids to buy seeds with our pocket money and grow them in a designated spot in the garden. What a buzz I got from making posies with my flowers wrapped in paper doylies. That same passion I had as a child making those Victorian posies sees me now making bouquets for brides and creating flowers to suit any occasion. My style is quite diverse! 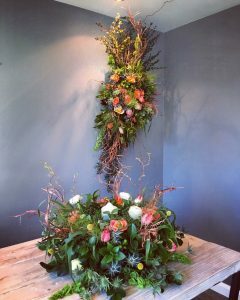 As any good florist, I can meet your requirements whether it be traditional, modern, garden style etc. I get excited by designing tailored bouquets for my brides. We only get one chance so it’s got to be 100% perfect! I take delight in following what is currently happening in the floristry world, keeping up to date with what is trending. If I was to give advice to brides and grooms it would be to get as much organised as early as possible. There is nothing worse than leaving any arranging until the last minute. You should keep stress to the minimum which will enable you to enjoy your wedding celebrations to the max! Meet Emma from Honeybee Blooms for some wedding flower inspiration. 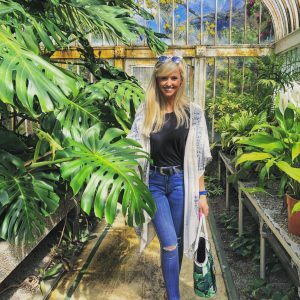 Initially when I first caught the ‘flower bug’ I was too old (28!) to get an apprenticeship or trainee job in a florist shop. At the time I was working for a well-known fashion retailer as their eCommerce Manager and attended floristry classes in the evening whilst also teaching myself to be proficient enough to give it a go. 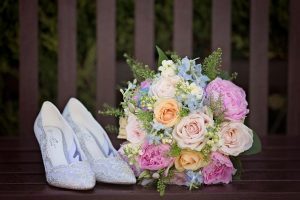 Then in the summer of 2017 I trained specifically in wedding flowers in Bath, Somerset! My favourite part of working as a wedding florist is probably that every bride has her own individual style and vision which is great as it means every wedding is different, very much tailored to their own style and I have the opportunity to bring their ideas to life. Having the chance to work with brides and grooms across all seasons of the year is exciting as there are different flowers & colour tones in season which keeps things fresh! My approach is arty and unstructured luxury and I love to arrange myvibrant designs in a wild & whimsical style. Choosing your flowers can be one of the most exciting parts when planning your wedding; Flowers can instantly breathe life into a space or venue. 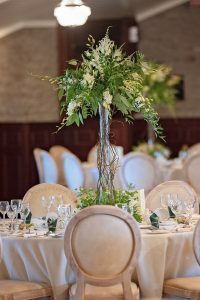 Every wedding florist is different to the next and we all have our own style which you’ll be able to grasp from pictures, some traditional whereas my designs are modern, contemporary and unique. For me, I have a keen eye for detail and having come from a creative background, my creations are inspired by global influences such as social media, fashion week style and popular culture. Images are more telling than words and it’s great if you’ve created a Pinterest board with ideas you can email me the link to and some brides put together scrap books and mood boards that will feature a bridemaid dress fabric swatch, a photograph of your wedding dress, colours you like and images of flowers you love. From Day 1 this will give me an insight into what you like and wish to create for your magical day! As a Floral Designer I consider myself an artist with a vision and desire to create something one of a kind for your wedding so it’s important to keep an open mind in regards to modifications or flower substitutions. It’s important to communicate what is is you’re attracted to in an arrangement you’ve perhaps seen an image of – is it the colours, the size/shape, or the loose, deconstructed vibe? If you’ve decided and you’d love to meet up for a coffee and chat about your wedding flowers, fantastic! 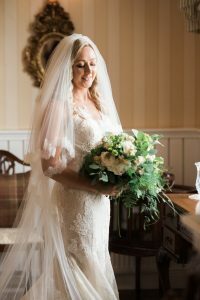 Before we meet it is good to have a think around your budget and what you’d like to achieve within that (floral arch/hoops, bridesmaid posies, buttonholes, confetti petals for guests, table centres & menu designs etc) and account for extras such as set-up and delivery which we can discuss during our first meeting. Weddings are incredibly sentimental therefore it’s lovely to personalise your flowers according to their meaning – like Harry & Meghan did when Prince Harry picked flowers for Meghan’s bouquet the day before their wedding from their private garden at Kensington Palace. The Spring blooms included Forget-Me-Nots which were Diana, Princess of Wales’ favourite flower and were chosen to be included in the bouquet to honour her memory. Springs of Myrtle were also included in keeping with Royal tradition as they symbolise hope and love, making it a perfect addition! I’d love for Honeybee Blooms to be your wedding flower destination – Why not get in touch today? I’d love to hear from you!